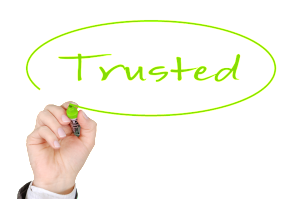 Consciously developing trust greatly benefits individuals and organizations. Most people and entities do not regularly focus on building trust, resulting in unnecessary obstacles that can hinder relationships, flow, and ultimately reduce sales and profit. Emphasizing trust as a key component of smooth business operations can greatly improve many of your organization’s key relationships. Lets examine a simple, personal, real-life example that took place at the beach resort town of Hua Hin, Thailand in January 2016. I ate a delicious lunch of fried rice and mixed vegetables at a typical roadside stall. The bill came to 110 Baht (B) but I only had 100B and 1,000B notes. For a small vendor, breaking such a large bill is difficult, stripping them of much needed change. After some quick consideration, the cook suggested I pay 100B now and the remaining 10B next time I visited, smiling and saying “mai pen rai” (never mind). I’d eaten at the stall a few times during the previous two weeks, but this show of trust was incredibly gracious and trusting. The 10B potentially lost if I didn’t return constituted roughly 10% of the selling price – certainly a good portion of her profit. But she appreciated the situation and quickly made a judgment that cultivating me as a potentially longer-term customer was of greater value than getting the final 10B there and then. And I did return – the next day for lunch, and a few more times during my remaining week in town. While simple on the surface, this show of trust goes much deeper than a few more plates of fried rice sold. It revealed authenticity and showed she operates with a good deal of integrity. Via this small act she offered friendship and instantly upped the ante of our relationship. That resulted in me viewing her as a nice person, feeling good about spending money at her stall, eating her food, and I was obliged to return. By empathizing with my position of not having proper change and offering some trust, a personal connection was made, resulting not only in me returning but recommending her food to others. Now imagine how consciously cultivating trust amongst your team and network could dramatically impact multiple levels of your organization. It starts simply enough with individuals gaining more respect for one another, resulting in greater understanding, a more open sharing of details, plans, ideas and expectations. Get people talking and listening more authentically and understanding is increased dramatically, thereby boosting clarity. Typical small items of question and concern are eliminated, allowing individuals to focus on higher-level items of importance. This greatly speeds up overall processes, increasing time for innovation, spurring higher functioning teams, networks, and communities. 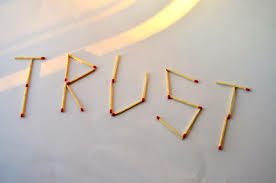 Trust can ultimately enable stronger connections between all stakeholders in the chain, creating a stronger community. 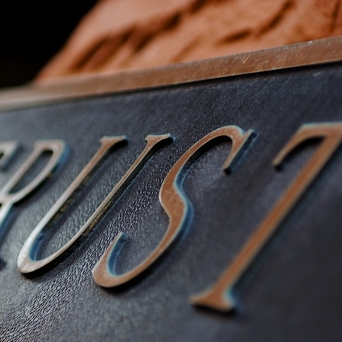 Trust can be a powerful tool, is infectious, and spreads if nurtured. Learning to fully embrace and develop it is of prime importance to realizing and actuating your organization’s full potential.